BRRRRRRRRR! 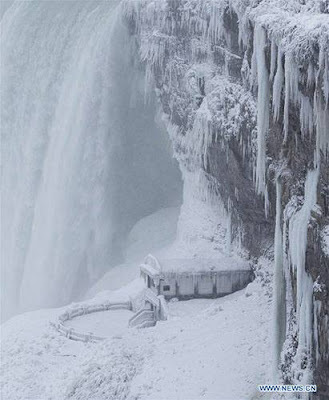 Eastern Canada is experiencing extremely cold temperatures, due to the Polar Vortex. (I hear Australia is having the exact opposite problem, with extremely hot temperatures). It is all a bit freaky. Happy Sunday, dear poets. The weeks march on; in fact, they gallop. We hope you enjoyed Rosemary's Moonlight Musings on Friday, on the topic : Don't Lose Heart! on our writing. It's worth scrolling back, if you missed it. Moonlight Musings are my favourite of the Friday features. And they spark such good discussions about writing. On Monday, we are sharing some poems and photos of beloved cats, in the interests of impartiality, since last Monday was all about dogs. Smiles. We know you will love reading about some very marvelous felines. On Wednesday Sumana's prompt will be Love, something the world can't ever get too much of. There should be some heartwarming poems responding to that prompt. For now, since it's Sunday, let's dive into the Pantry and see what goodies await! Thanks for being here. We couldn't do this without you! Good Morning... we had a lot of snow here, but during the last few days most of it has melted... will go out for a run and come back later to read. Good morning, poets! It is two a.m. here, so for once am not late arriving. Here on the west coast, it is cold enough for ice in the puddles, but thankfully is not the deep freeze of the east. Looking forward to a Sunday of poetry. No snow here, just lots of wind and rain - very dreary. 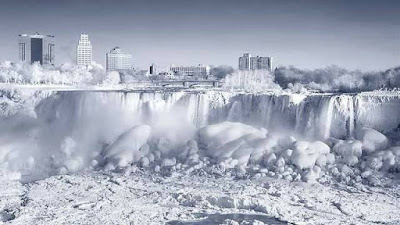 I love the amazing photos of Niagara Falls! Stay warm! Good morning, Friends! I will be making my visits later today, look forward to reading your poetry. Have a good poetic week. It's always so lovely to see you, Mary. Happy Sunday, I took a walk yesterday along the river the water is frozen and choppy. They will send a icebreaker so water can once again flow freely, There is great concerns over flooding once it melts. 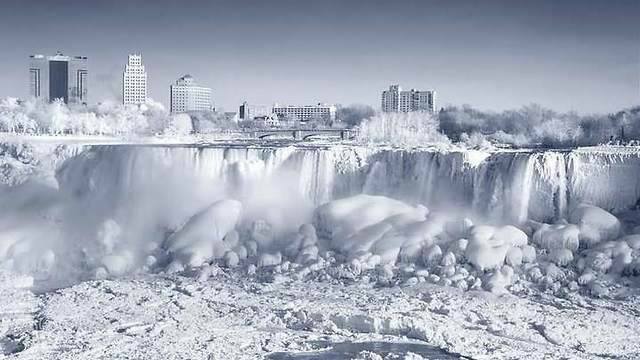 I don't think I've ever actually seen the Niagara Frozen. It is alarming. My son and daughter-in-law live in central Canada in Regina. It is colder there than the Arctic this winter. They are stuck in the polar vortex. They feel like bears, hibernating. Their dog doesnt even want to go out, and he is part wolf. I imagine many wild creatures are suffering this winter. Hello Poets! Yesterday, we went to an aquarium in Scottsdale. It was amazing, so my haiku today is about Moon Jellyfish. Oh, I hate to think of the animals in this weather. Here in Southern New Mexico, we haven't experienced that cold. But, I feel for you and all those who have. Hope everyone is having a good Sunday. Stay warm. Good afternoon all. Dreary rainy and cold here. Yuck. We had a warm January here in Idaho, but we’re in for a cold and snowy late winter! Not much snow, just enough to look pretty. What a lovely Pantry today, my friends. Thank you to each one of you who made your way here. Sundays would not be the same without you! I agree, Sherry! Thanks for putting up the pantry and to all who have participated.